Experience comfort like you've never known with this "HELPMEUP" COMforT CUSHION. Unlike regular convoluted cushions that have high-pressure peaks, this professionally designed cushion has independent foam blocks that evenly support the entire sitting surface. Each individual block acts like a spring, adjusting to every anatomical contour for perfect pressure distribution and custom support. 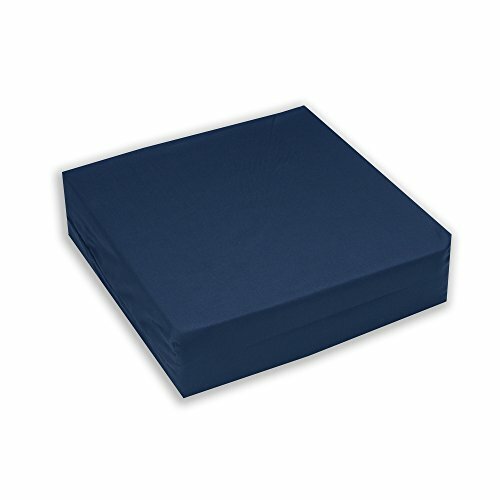 Navy polycotton cover.